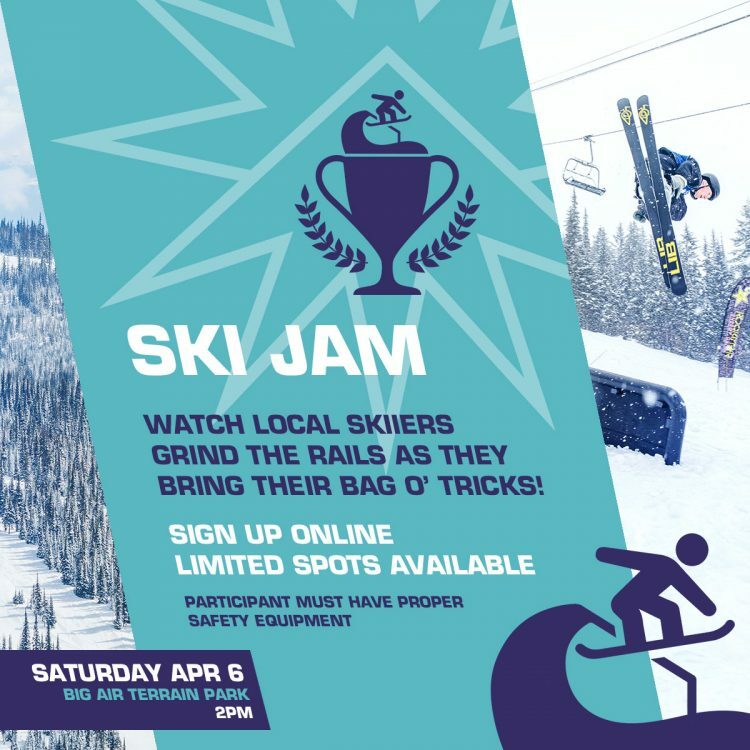 BRING YOUR BAG O' TRICKS TO THE RAIL JAM! Watch the pro-riders grind the rails at our Annual Ski Jam! Sign up spots are still available!